The Keymakers are at it again with their captivating blend of EDM, Pop, and Urban music to create a truly special vibe. Their new single, 'Insomniac', will grab your attention from the beginning with its haunting blend of vocals, keyboards, and percussion. The song takes you on an emotional musical journey of a lover's painful longing over sleepless nights. The Keymakers also infuse the track with a taste of Rome Alexander, the older brother, on the alto saxophone. "I've played the sax since I was a kid and love the pure emotion it evokes. We've been searching for an authentic way to introduce live sax into our sound and we believe that it really fit the mood and vibe we wanted to create with 'Insomniac'", said Rome. "When we're making music, one of our goals is to weave and merge different elements and different genres together as one cohesive image. In 'Insomniac', we blended a mellow R&B vibe in the verses, with a heavier electronic sound in the drops. Rome playing the sax over top of the grimier electronic production really makes us feel as though this track has its own signature sound, which is what we're going for", said Rederic, the younger brother in the duo. 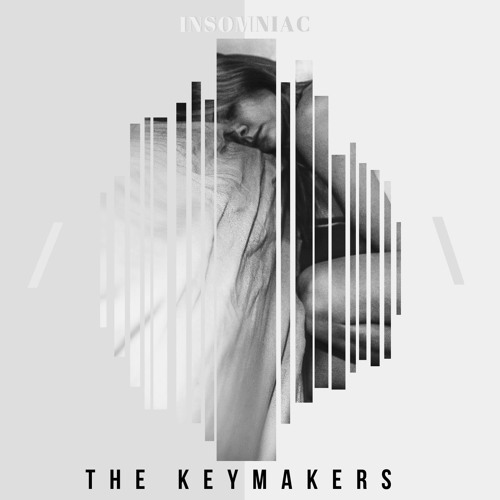 Insomniac is The Keymakers third single release of 2018, following on the heels of "Burning Me Up" and "Tell Me Something", each of which received critical acclaim, are amassing thousands of streams daily on Spotify, and reached the top of the charts on internet radio stations in the US and abroad. The Keymakers are very excited to share this new song with their fans, and promise there is more music on the way very soon.